Integral Humanism is a doctrine developed by Pt. Deen Dayal Upadhyay. It emphasizes on an economic model for the entire Indian society. It also evaluates the good points of capitalism as well as socialism and tries to adopt the middle path. Pt. Upadhyay is not in view of accepting any social systems which believes on individualism. He also rejected the concept of communism which crushes individualism. According to him society is a natural living organism having ‘national soul’ or ‘ethos’. It is not a social contract between individuals. So, both the concept of capitalism and communism is not accepted as it is. Integral Humanism also stands out for its emphasis on decentralization and attaches immense importance to the economic progress of every human being. The doctrines of Pandit Deendayal Upadhyay are the guiding principles of government policies. 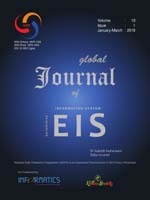 In this paper the researcher is trying to evaluate the economic development of India in the light of the above concept. Economic Wellness, Decentralization, Integral Humanism.